My Summer Beauty Must-Haves from Yves Rocher + Giveaway! Who else is at their utmost happy state now that summer is in full swing? Soaking in that vitamin D by basking in the sun, cooling off in the pool and eating lots of ice cream sandwiches is what I've been up to lately! I know the hot and humid weather is not everyone's cup of tea, but I am one of those rare Montrealers who cannot get enough of a heatwave (and for someone who has no A/C, that says a lot)! Not only that but I've also been enjoying some new products (as well as an oldie but a goodie that I can't live without) in my beauty routine from Yves Rocher*. The iconic French beauty brand has done it again and came out with a bunch of fun products for the summer season to get you looking tanned, smelling divine and feeling moisturized! Keep reading to find out how you can win a handful of the Yves Rocher products featured in this post! 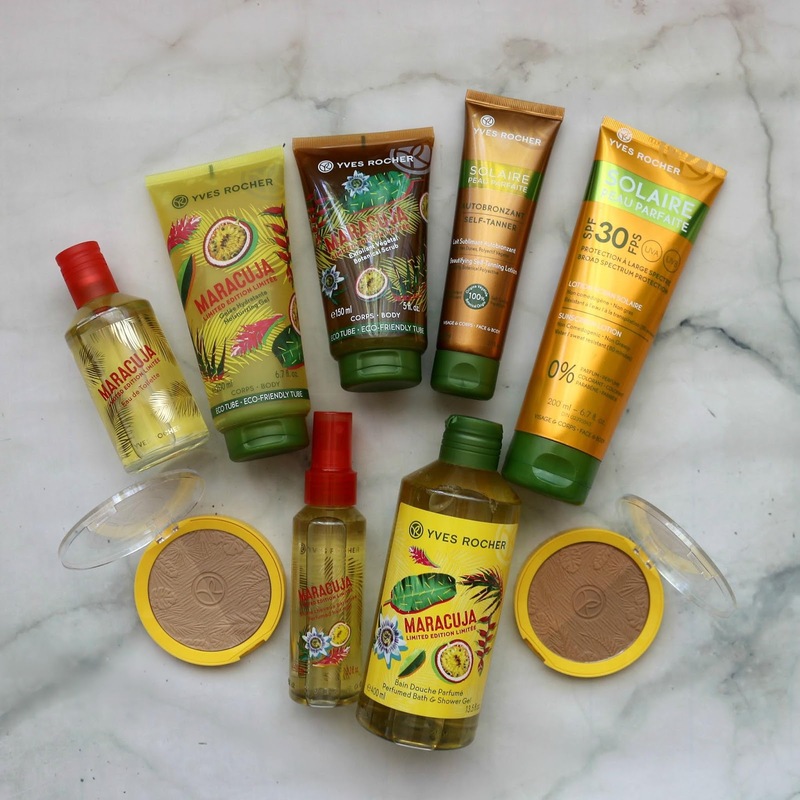 The Yves Rocher Marajuca Collection is limited edition and contains five products that will take you a tropical vacation (figuratively only, sadly)! As you may be guessing, the fragrance of this collection is very fruity and energizing thanks to a blend of both passion fruit and ginger. I will say the scent is quite strong, so much so that you can even smell it through the packaging from a short distance. I'm usually not a fan of super strong scents, but this one is actually very pleasant and unlike anything I have smelled before. The bright packaging of this collection is also super cute and screams summer! Whether you are looking to polish your skin, seal your natural moisture barrier after a nice cooling shower or make yourself and others catch a whiff of the scent in your hair or on your wrist, there is a product to suit your needs! 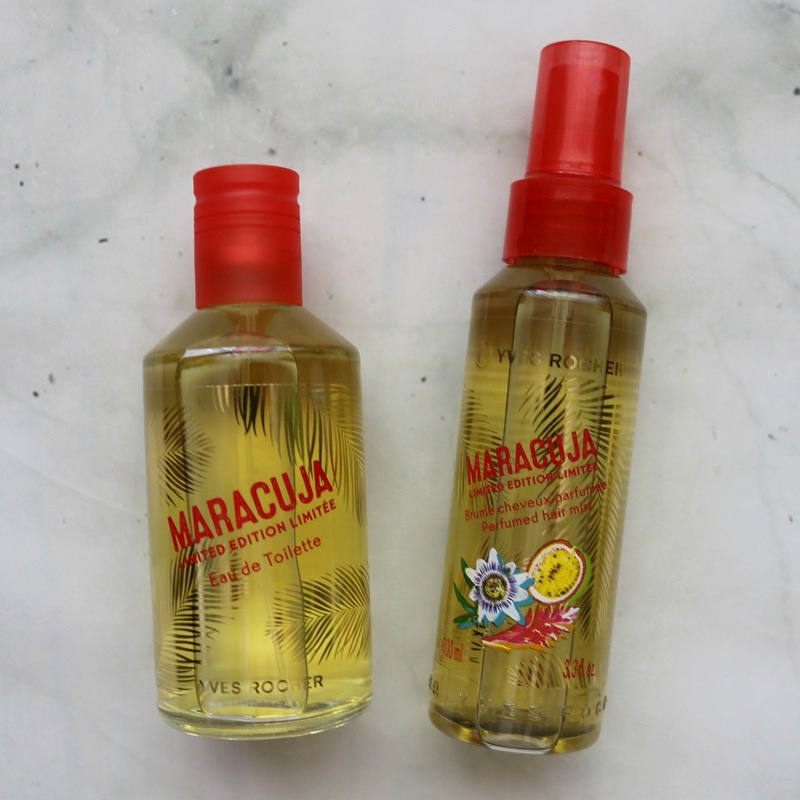 The Maracuja Perfumed Bath & Shower Gel comes in two sizes: 400 mL (C$8.00) and 200 mL (C$4.00). The botanical cleansing base is made with more than 98% natural ingredients and the formula is also biodegradable. The gel does not really foam or lather and hence washes off really easily. The scent will last a few minutes even after showering or bathing, but will slowly fade. The recyclable bottle is made from recycled plastic and the formula is free of ethoxyl and parabens and contains ingredients such as aloe leaf juice, citric acid and salicylic acid. To exfoliate my body this summer, I have been reaching for the Maracuja Botanical Scrub (C$8.00, 150 mL), my favourite product of the bunch! This gel-based scrub contains apricot seed powder, sweet almond shell powder as well as aloe leaf juice to have your skin looking and feeling its best. It has a nice gritty texture but isn't abrasive or harsh on the skin. The product comes in an eco-friendly tube that is made using 25% less plastic than a standard tube and the formula is made with ingredients that are 92% from natural origin and is also paraben and mineral oil free. I've been using it twice a week from neck level down to slough off dry skin and get a better shave. To keep that scent lingering on my skin for a few hours longer and keep my skin feeling nice and smooth after stepping out of the shower, I have been following up with the Maracuja Moisturizing Gel (C$8,00, 200 mL). Once again, it comes in an eco-friendly tube and is made with 98% natural ingredients. On the skin, it feels just like aloe vera (which makes up the base) as it quickly sinks in and leaves a slightly sticky sensation that gradually disappears after a couple of minutes following application. It also feels slightly cooling, which we can all appreciate in summer skincare! To keep the tropical vibe going throughout the day, the Maracuja Eau de Toilette (C$19.00, 100 mL) packs a punch! This product lasts over six hours on my skin when I spritz the fragrance to my pulse points, that is my neck, wrists, inner elbows and cleavage. The concentrated scent is quite strong when first applied, but within a few minutes following application when the alcohol has evaporated, you are left with a subtler aroma. I just love catching a whiff of the fragrance throughout the day, it's very uplifting and re-energizing! The EDT comes in a tropical print yellow box made of recycled cardboard which is super pretty to look at. The alcohol-based spray comes out nicely and spreads evenly. Other key ingredients include limonene, linalool, citronellol and geraniol. The Maracuja Perfumed Hair Mist (C$12.00, 100 mL) has been such a treat to apply. Hair mist is not something I regularly use, but I like reaching for one on special occasions. This one is so great because it instantly evaporates once it comes in contact with your hair, and it does not leave your hair feeling wet or crunchy. Once again, it contains limonene, linalool, citronellol and geraniol. The spray also comes out very finely and evenly, and I concentrate it from ear-level down. The scent is also very long lasting - if I apply it in the evening before going out, I can still smell it the next morning! I've only tried one self-tanner in the past from the drugstore, and I was not the biggest fan because 1) it dried patchy and left me with uneven colour and 2) the scent was not very pleasant, so I've been hesitant to try another one ever since. 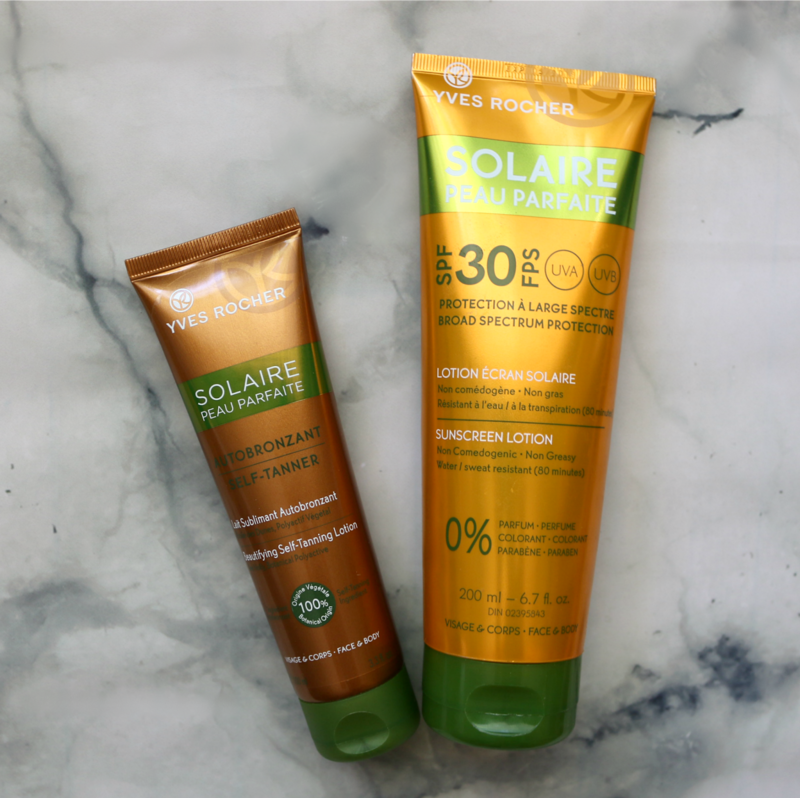 I was curious to see how the Yves Rocher Solaire Peau Parfaite Beautifying Self-Tanning Lotion (C$25, 100 mL) would compare, so I finally bit the bullet, and boy was I impressed! The formula contains more than 94% natural ingredients and a self-tanning ingredient from 100% Botanical origin, which I think is amazing! One of the main benefits is that it can be used on both your face and body, so you don't have to worry about finding two separate products that will provide a similar colour on your skin. Not only that, but the lotion is also mineral oil, silicone and paraben free, and it smells absolutely incredible: slightly nutty, floral and sweet. With each application, you will notice your skin gradually become darker, more glowy and more radiant and despite having light skin, the colour does not leave me looking orange or muddy. Once applied, you should wait a minimum of three hours before exposing your skin to water. I've been using this product to complement my natural sun tan since it also works to prepare your skin to tan more quickly and also focus it on areas that tan less easily, like my inner arms, and I achieved my desired colour after four applications, every other day. Key ingredients include Sea Holly (a resistant plant that grows along the seaside, is resistant to the sun's rays and stores water exceptionally well) which translates to incredibly soft and replenished skin, hamamelis flower water, shea butter and vitamin E.
I can't even tell you how many different sunscreens I have tried throughout the years, and I have never been attached to a particular one, that is until I discovered the Yves Rocher Solaire Peau Parfaite Sunscreen Lotion SPF 30 (C$35.00, 200 mL) last summer, and I have been a devotee ever since - it totally knocked my socks off! This perfume-free sunblock protects skin against harmful UVA and UVB rays and can be used on your face and body, and what I appreciate most is the ease of application. Despite being white, this light lotion melts into the skin without leaving a white residue and is easy to spread without leaving you feeling all sticky and greasy. The formula is non-comedogenic and suitable for all skin types and is also colourant and paraben free, with avobenzone and octinoxate as active ingredients to help prevent sunburn. It should be applied 15 minutes before sun exposure and reapplied after 80 minutes of swimming or sweating, right after towel drying and at least every two hours. The lotion is also very moisturizing, containing aloe leaf extract, camellia leaf extract and safflower seed oil. Not only that, but the recycled bottle is also 100% recyclable! I am already running low so I will have to pick another bottle up to get me through the rest of the summer season! Last but not least, Yves Rocher has come out with limited edition collectibles of their Bronzing Powder Duo (C$17, 15 g). Embossed with a palm leaf motif, these yellow compacts come with a clear lid and are available in two shades: Medium Veil and Dark Veil. The powder, despite being quite dry to the touch, goes on very smoothly and evenly. They are also buildable to achieve your desired pigmentation. I've been using Medium Veil (in the original black packaging) for over a year now! Now that my skin has become a couple of shades darker, I've been using a mix of the darker shade in Medium Veil to bronze, and the lighter shade in Dark Veil to contour. What I appreciate most is that these powders are super easy to blend out and do not look patchy or muddy on my skin tone. The scent is just divine, with both coconut oil and gardenia flower extract forming part of the ingredients. And now for the giveaway you've been waiting for! To enter, simply fill out the Rafflecopter box below. The visible entries are mandatory, and once completed, more entries will be unlocked to increase your chances of winning. Please see the Rafflecopter box for full giveaway terms and conditions. What product(s) caught your eye? *Disclaimer: This post was sponsored by Yves Rocher. Some affiliate links provided. All thoughts and opinions are my own. Yves Rocher really do some awesome products don't they! I love they are so pocket friendly as well, when it comes to pricing as that can really make all the difference. I'd love to try the moisturising gel, that sounds really interesting. I could use a tropical vacation. Haven't heard of this product before. After reading about it thinking it would be worth a try. Sound really good. First time I have heard of this line. I love reading about new products, so thank you! I'm going to see if I can find it here in the US. I just came back from a tropical vacation and I can tell you that I wish I had some of this stuff on the vacation! Anything I can use and pretend I am back on the islands I would consider perfect! I love al of this stuff! I keep an eye out for all this beauty stuff as I have three nieces who love when Uncle Mitch has samples and more for them, and sometimes has better info on beauty then they have! Thanks! I am always looking for new bronzers to try out. I've never heard of this brand before I'll absolutely be looking into it. All of these products look awesome. I'm sure most of them are out of my price range. I've been on a search for a self tanner that looks natural. Thanks for this post as I want to try this brand. Love a giveaway! I love a good self tanner even more. I just tried it for my first time this summer and it’s been life changing! This looks like some great stuff! I would not mind a bottle or two! I have a friend who told me about this. She really loved what it did for her! Ooo everything looks awesome. I haven't tried these before, but I'm curious, so I'll have to be sure to enter the giveaway! Awesome giveaway! Everything is so nice. I would love to try all of the products. The bronzers are so pretty and would be perfect to add to my makeup collection. Summer is for the pool and ice cream. These look like they are great sun protection products that are need for the pool. How fun! What a great way to extend your summer sun-kissed look for as long as possible. What amazing products! I've never heard of them before so thanks for letting us know! 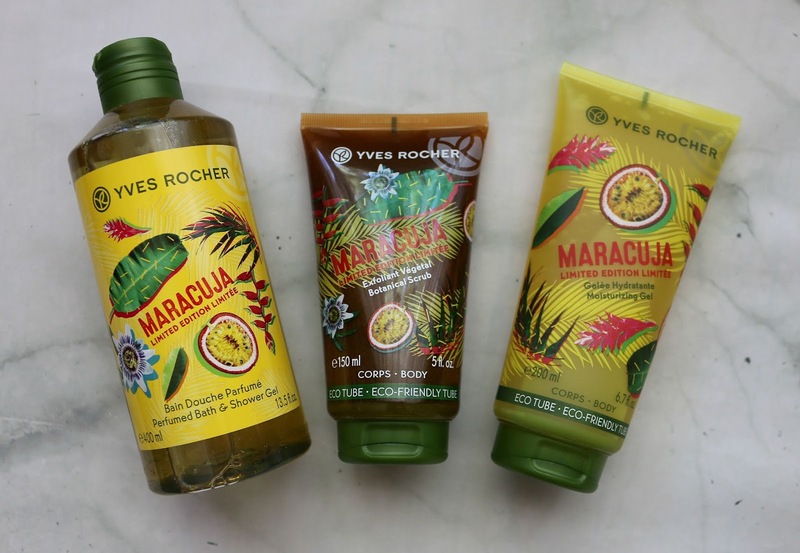 I'm especially interested in The Yves Rocher Marajuca Collection as I adore anything with ginger in it!! I would like to try the sunscreen lotion. I have good things about it. First time to see and know this product but it looks like a good one to try. I will also share this to my sisters and I am sure they will like these stuffs. The bronzers are beautiful! I have been wearing more makeup now and can't wait to try out new products like the bronzers. Good that you wrote about these products. I was looking for similar products but was not able to find any info. How described the scents, I felt like I could smell them through my computer. I love any and all products with a tropical smell and feel. I love that the bottles are recycled! I will enter the giveaway! I have never used self-tanner or bronzer. Perhaps, I should look into it. So many products I've never heard of! I need a good bronzer. Great review on products I know a lot of people have probably never heard of. Thank you for the information. The packaging is so tropical! Reminds me of a vacation in Jamaica haha! 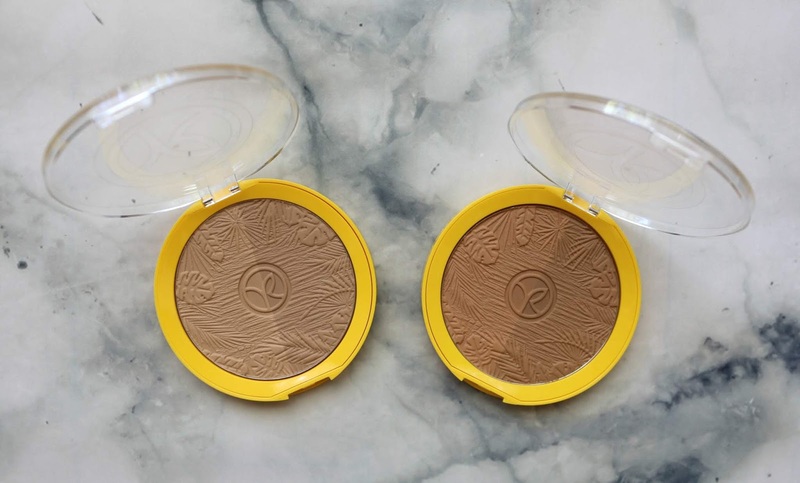 The bronzer duos are awesome too so you can use it all year round! That's a whole lot of must have summer products. I look for products that have at least 30 spf in them. My dad has had skin cancer which is a wakeup call to me, with blond hair, blue eyes and fair skin, it might just hit me too after years in the sun unprotected. Talk about an awesome new line to look forward to! I think this is great and I love that it's all about giving you that summer glow without going to the beach! What an amazing skincare line! I have heard really good things about maracuja oil!! Our summer vacation has come to an end, but the memories will last a lifetime.Loving the products in this giveaway. There's so much to enjoy! I would just love to try the spray! I am really excited about the scented hair mist. Thanks for the chance! Awesome giveaway! Everything is so nice. I would love to try all of the products. Thanks for sharing. I've never tried it but I would definitely want to try the sunscreen. I get so nervous about my skin health and take extra care in the summer. Yves Rocher has some beautiful products. I would love to try the Maracuja Perfumed Bath & Shower Gel. I think I'd like to try the self tanner! Wow I'd love to try any of them. It looks great. 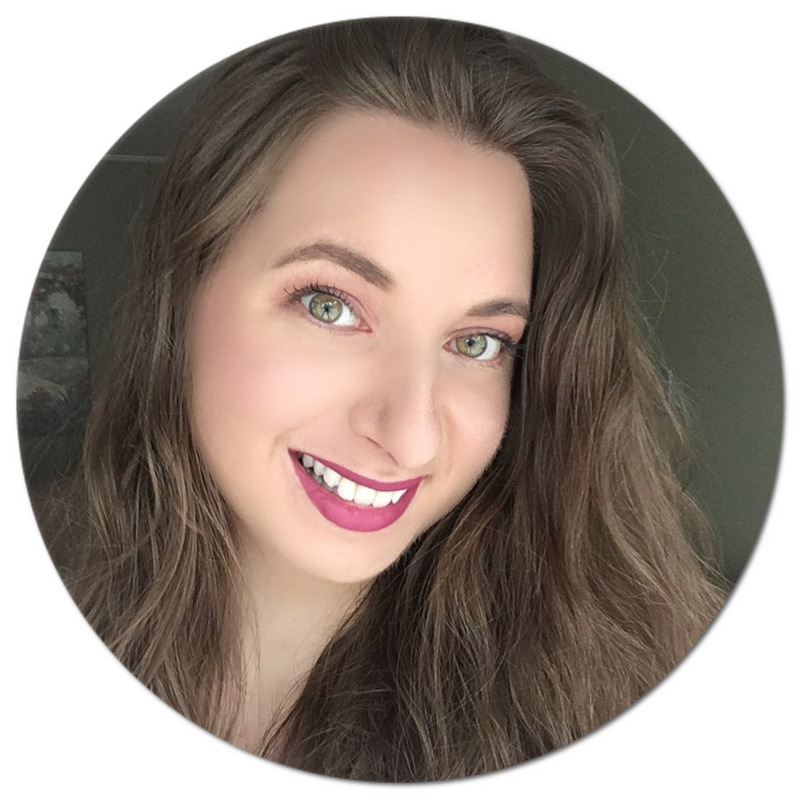 Healthy Glow Makeup Look + Pixi Beauty Giveaway!